End-X Systems was formed to bring law enforcement agencies a variety of safer and more efficient ways to end pursuits. End-X Systems has developed two Pursuit Termination Units called the PT700 and the PT1100. 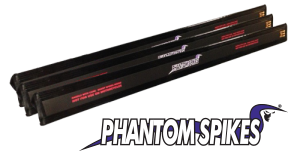 Both systems use the most advanced spike strip on the market called Phantom Spikes®. These new systems introduce a new standard for officer safety. End-X Systems is determined to provide each agency with the highest quality products and the best customer service. The majority of our employees are current or prior law enforcement officers. So we understand the dynamics of law enforcement. We are committed to developing new and innovative products, which will help officers do their job safer and more efficient. We believe in continuous improvement which is why we’ve partnered with an engineering firm in New York that shares our vision. Engineered with a focus on safety, the PT700 and PT1100 allow law enforcement officers to use Phantom Spikes® effectively and safely. Officers can expect a combination of increased flexibility and safety, ensuring effectual and swift ends to pursuits. To provide high quality and innovative new products to law enforcement that increase officer safety and decrease agency liability during pursuits. The PT1100 enable officers to safely get tires deflated early in the pursuit. No other system exists that is as dynamic and efficient as this. Phantom Spikes are tire deflation devices that are specially designed to be used with the PT1100.